Communicators and marketers are continually adapting and learning new digital strategies to expand their brand reach and recognition. 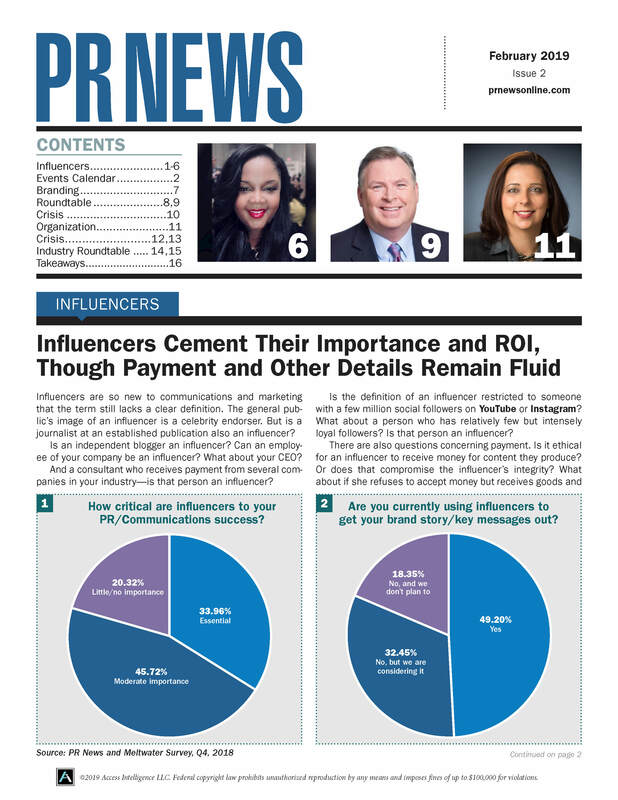 And each year, PR News’ Digital PR Awards recognize the year’s top digital communicators and campaigns in a variety of media such as video, website design, mobile apps and more. We announced the winners and honored all of the finalists for the Digital PR Awards at our luncheon Nov. 8 at the Yale Club in New York City. 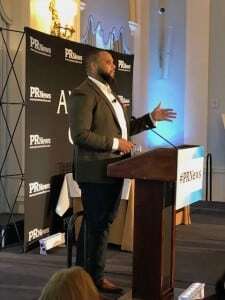 Jason Dailey, U.S. agency development lead at Facebook, was the keynote speaker at the Digital PR Awards 2017. Jason Dailey, U.S. agency partner development lead at Facebook, kicked off the awards luncheon with his keynote presentation, “How the Discoverability Factor Is Helping (or Hurting) Your Content.” Dailey shared the latest insights into how people are consuming and retaining content on mobile devices, and how these trends should influence the creation of brand content. Dailey pointed out that people are consuming content at faster and faster rates, and the content must be designed to be eye-catching within the shortest amount of time. "Today, the average person thumbs through 300 feet of content per day," he said. "That means every person scrolls through one Statue of Liberty every day." There's no recipe for creativity, he added. But communicators can use visual tricks and personalization to capture attention. "Thumb-stopping content is what you want, to capture attention quickly. Design for sound off, but delight for sound on." Many honorees took to Twitter to share celebrations of their successes. The Digital PR Awards luncheon was sponsored by Business Wire. Follow the link below to see all of this year's winners and honorable mentions.